In 1976 Brothers decided that a club was required in the Southern suburbs, so they approached sister Francis (sister Kath Carroll) of St Pauls Catholic School, Woodridge. Sister Francis, being a devoted Rugby League fan, thought it an excellent idea. The inaugural meeting of Brothers' St Pauls Junior Rugby League Football Club was held at St Pauls Convent, Woodridge on Sunday December 12, 1976. A committee was formed and plans were put into motion. At this meeting it was moved and passed that 'all persons who wished to play for St Pauls Junior R.L.F.C. be accepted. That there be no restriction placed on players.' The colours of green and gold were decided on by Sister Francis and Fr. Tom Hamell as depicting the fighting Irish. The leprechaun was to be the logo, as we were a Brothers club. The council was approached for a field and by the persistent hounding of Mr Fred Huntress, the club was allocated the lease of land on Wembley Road behind the public swimming pool and council building. It was then known as Bilger Park and has since been changed to Civic Park. Games commenced on our own field in 1979. Only minors could use the field for fixtures as there were no dressing sheds for junior teams. These teams continued to use outside clubs and the Woodridge High School for home games. The dressing sheds and canteen were built with a government grant in 1981, so all home games were then able to be conducted at Bilger Park. The first canteen was a tent with trestles for counters. It was used at both the high school and home ground until 1980. 1977 - Our first game of competition was against East Mount Gravatt on 27th March 1977. The boys learnt a lot in that first year of football with many of the boys having not played before. The score was heavily in favour of East Mount Gravatt, but this was our beginning to greater things. 1978 – We had our first team to reach a Grand Final in the Under 16's, they won the Presidents Cup but were unlucky to be defeated in the Grand Final. 1979 - Our teams played out of Woodridge area as Brothers St Pauls from our home ground. There was no toilet block at that stage so portable toilets were acquired. With the end of the season we saw our first Grand Final winners in the Under 8's going through the season undefeated. The Under 9's also won the President's Cup. The under 13's of that year played in Open 1 and were the Minor Premiers and Premiers, making them the first Junior Premiers of the Club. 1980 – This year saw the purchase of a she to be used for Canteen and beer sales. Lights were installed down one side of the field and training could now be done after dark. Public toilets had been built by the council so we no longer needed our Portable Toilets. This year saw two teams win Grand Finals with the Under 11's going through the year undefeated and the Under 12's being the Minor Premiers and Premiers. 1981 – This year saw our Dressing Sheds and new Canteen for the first time. This year also saw the start of St John Ambulance attending our home games. There is no record of premiership wins in this year. 1982 – Mini football was introduced in the Under7's only by the B.R.L. This was a success with our boys going to the Sandgate Under 7's Carnival and bringing back the trophy, being undefeated. 1983 – Membership increased from eight teams to fourteen teams in this year. Our Under 7's again brought home the trophy for the Sandgate Carnival. We did get a Grand Final winner in 1983 with the Under 14's. 1984 – A second stage of lighting was completed when the lights were installed down the outside of the second field giving enough light for night games. This was not a complete success with the power being overloaded causing a blackout. S.E.Q.E.B. eventually repaired it and the play continued. It was a good year for finals with the Under 14's winning the President's Flag and being Minor Premiers but missed out on the Premiership. The Under 15's went through undefeated with the President's Flag and Premiership. 1985 – The clubs first scoreboard was erected in May with funds donated by City Mazda, South Brisbane. The Under 7's again brought the trophy home from the Sandgate carnival. The Under 13's went through undefeated winning both the President's Flag and the Premiership. The Under 15's also went through undefeated, after being put up a grade from the previous season, winning the President's Flag and the Premiership. 1986 – At the end of the Trial Games on 6th march a mini tornado hit Logan City and our dressing shed and canteen lost its roof with many patrons still on the field at the time. Games carried on a usual with a tarpaulin thrown over the Canteen as protection until the roof could be replaced. Our final stage of lighting the field was completed with two lights centered either end of the field area and the lights down the side of the No 1 field upgraded. Our teams did not get into any Grand Finals in this year but two teams did make Semi Finals. 1987 – This year will see the opening of our club House which had been the result of 10 years of hard work by the various committees. From these early beginnings, the strong Logan Brothers club has evolved. 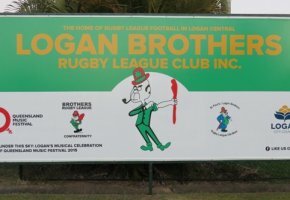 At the Annual General Meeting held at the end of the 1996 season the name was changed to Logan Brothers. Logan Brothers is host to Friday night and Sunday games for juniors, with Saturday afternoon games for seniors. A licensed bar and canteen is open for all games with an array of food and drinks for sale. The Club is run solely on the generosity of Volunteers with the aim of seeing Junior Rugby League players learn the game. We form a Committee of 10 volunteers each year which includes four executives of President, Vice President, Secretary and Treasurer. To help this Committee there are a number of parents who volunteer as a Sub-Committee. All of our teams have parents running them in positions of Coach; Assistant Coach/Water Runner; Team Manager and Touch Judge. To assist all our volunteers we have meetings, advise them of courses coming up and clinics to attend to help improve their skills. In Wet Weather this will be updated by 4pm. 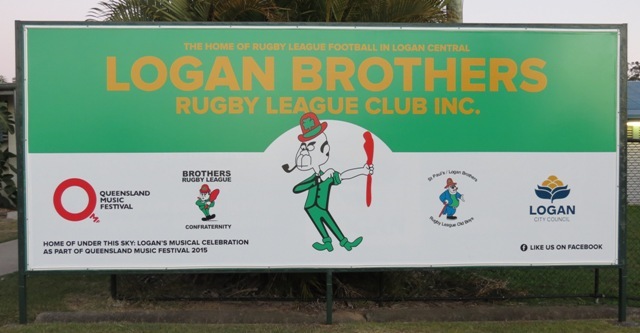 © 2019 Logan Brothers Rugby League Club Inc.